Each and every week “Mr. I Look Good In A Suit” MK2Fac3 and “Mr. I Look Good In A Plastic Incredible Hulk Mask” Henchman21 read a lot of comics. Seriously you guys, a lot of comics. Maybe too many comics. I mean, it is possible…theoretically. They look forward to some more than others, I mean, who doesn’t? So, let’s take a look into the depths of their pull lists, grab some comics, and we’ll let YOU know what the top books to look forward to are for the week of February 8, 2012. Single issues and trades, they’re all here. I’ve really got nothing fun or interesting to tell you this week. I mean, I had a job interview, but who cares about that? You’re here for comics! And boy let me tell you, there are a whole lot of comics to talk about this week. So, let’s skip this intro and get to the meat of the week. Ladies and gentlemen, I present…The GoD List! 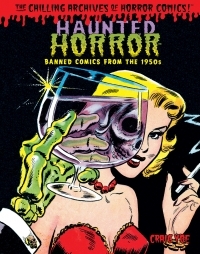 I am a big fan of books that cover comic book history, particularly the golden age of comics. 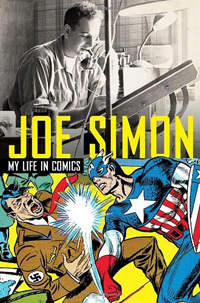 Joe Simon: My Life in Comics takes a look at that period through the eyes of the man who helped create Captain America, and I was looking forward to reading it. My Life in Comics turned out to be almost everything I had hoped for, but came up a little short. There are a lot of good anecdotes to be found in this book, I just wish certain events in Joe Simon’s life had been looked at a little longer. Joe Simon is perhaps most famous for joining with Jack Kirby to create the Captain America character in 1941, but he was responsible for much more than that. Before there was Jack and Stan Lee, there was Simon and Kirby, creating thousands of pages worth of entertainment and hundreds of characters that live on to this day. My Life in Comics looks at Simon’s life, from his childhood days, through his prolific career, into his twilight years. Simon tells the story of how he and Kirby jumped from publisher to publisher as different ideas were created. The autobiography spends most of its time dealing with the partnership and friendship between Simon and Kirby.